The Biblical Literacy class presents the Bible in practical ways that deepen our relationship with God and inspire us to make Christ known to others. This class is taught regularly by Mark Lanier and meets every Sunday at 11:00 a.m. at the Champions campus and at 9:30 at the Jersey Village campus of Champions Forest Baptist Church. 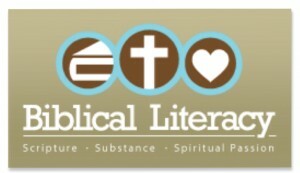 Visit the Biblical Literacy Website Here! The Biblical Literacy class began in 2003 with plans to complete an overview of the entire Bible. Three years later, the class had finished its journey through both the Old and New Testament. Since then, the class has completed studies in "Church History Literacy," "Paul, His Life and Teachings," and "Paul's Theology." Numerous series have been archived and are available on the website. Also, the 11 am class is live streamed on Facebook. Visit the class and be ready to exercise both your mind and your heart!